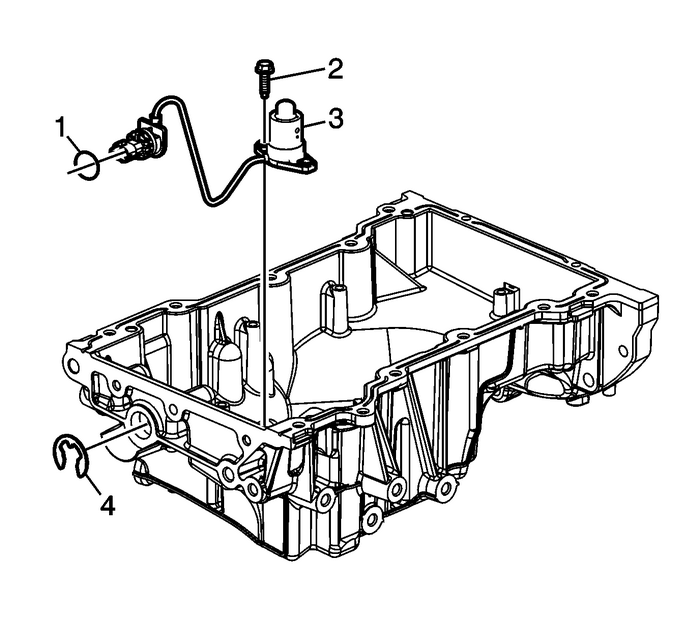 Remove the oil pan drain plug-(1) and seal-(2). Remove the oil pan scraper bolts-(2).Remove the oil pan scraper-(1). 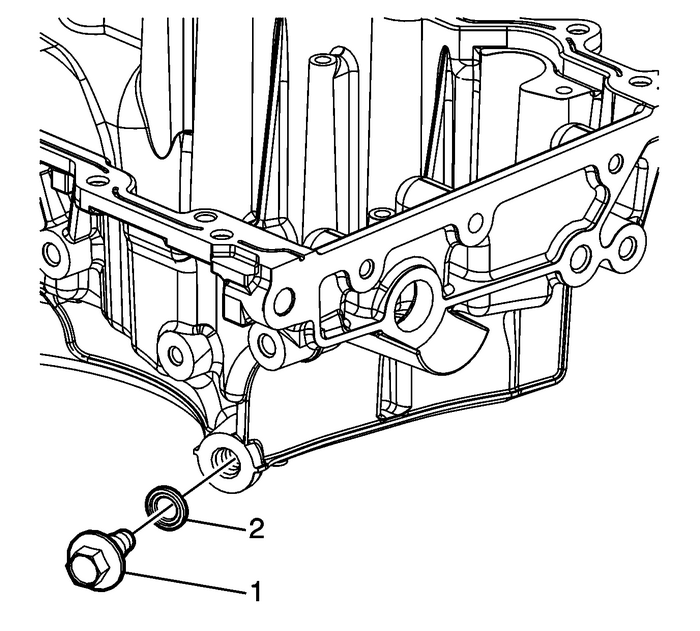 Remove the oil suction pipe bolts-(1).Remove the oil suction pipe-(2). Remove the oil suction pipe seal-(1). Install the oil pan drain plug-(1) and NEW O-ring seal-(2) and tighten to 25-Y (18-lb-ft). 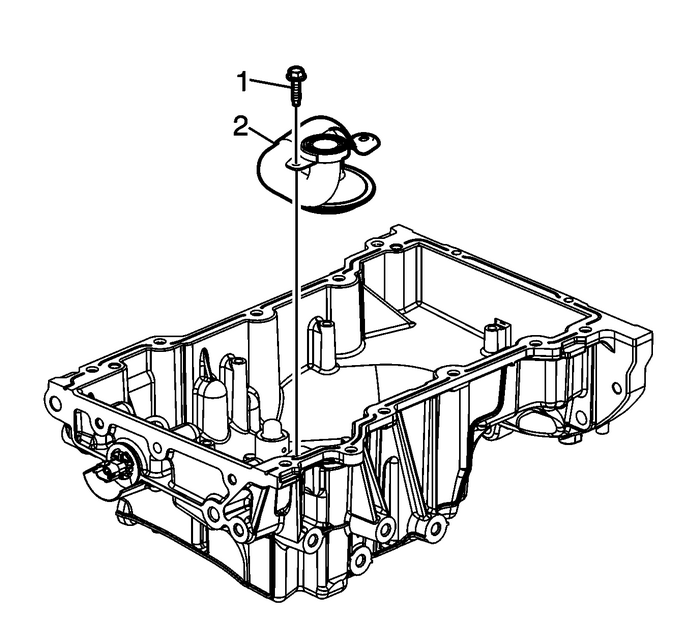 Install the NEW engine oil level switch seal-(1).Install the engine oil level switch-(3).Install the engine oil level switch bolts-(2) and tighten to 10-Y (89-lb-in).Install NEW engine oil level switch clip-(4). Install the NEW oil suction pipe seal-(1). 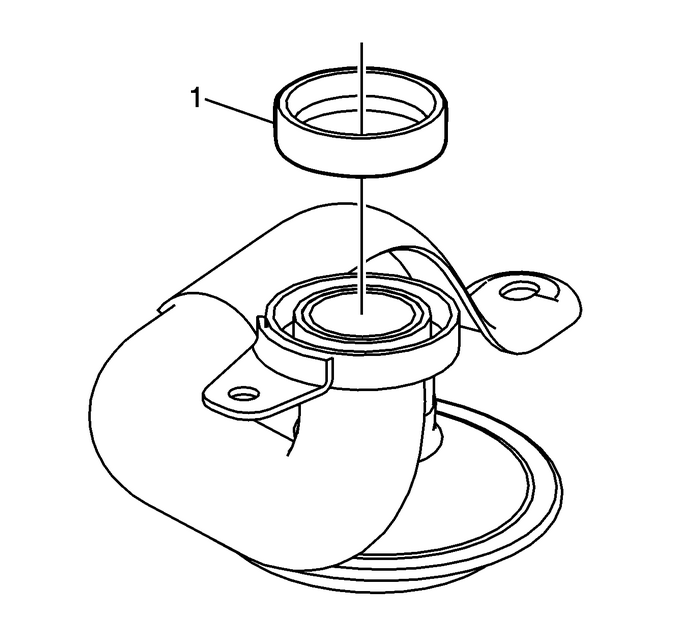 Install the oil suction pipe-(2).Install the oil suction pipe bolts-(1) and tighten to 10-Y (89-lb-in). 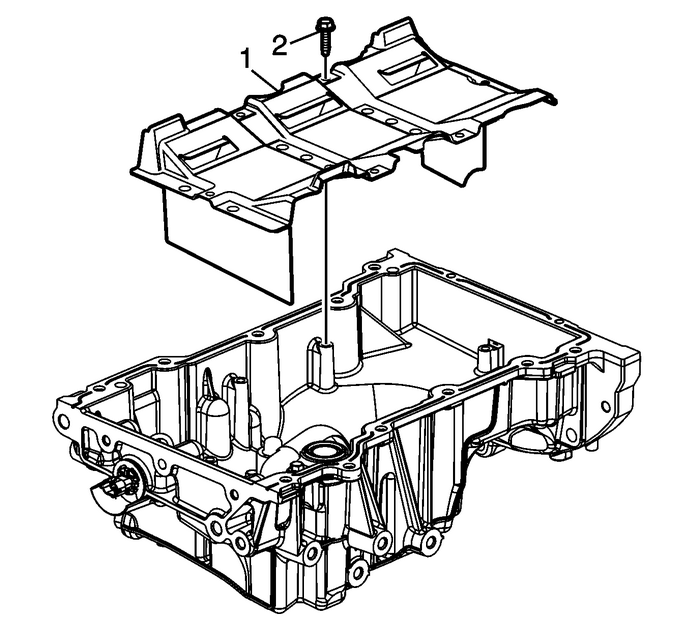 Install the oil pan scraper-(1).Install the oil pan scraper bolts-(2) and tighten to 10-Y (89-lb-in).Install the oil pan. Refer toOil Pan Replacement.